Understanding phase rotation is vital when connecting two systems together because the results can be catastrophic if someone doesn’t understand how to interpret phase rotation drawings. You would think something as important as phase rotation would have consistent terms across the entire industry. Unfortunately, you’d be wrong. Let’s start with a refresher on generator theory. followed by the C-Phase Voltage. followed by the B-Phase Voltage. Both of these definitions are a terrible way to communicate phase rotation. For example, which phase sequence is the voltage output of the generator in the following video? 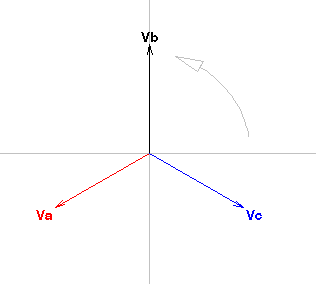 The generator is rotating clockwise, but the voltages are counter-clockwise because the A-Phase Voltage reaches its peak first, followed by the C-Phase Voltage, and then followed by the B-Phase Voltage. Which is the correct term for this system…clockwise or counter clockwise? Both apply, don’t they? That’s why this definition of phase rotation is confusing. We don’t care which direction the generator turns in the power system. We want to know the order, or sequence, of voltages being produced by the generator and to make sure that the system has the same phase sequence before connecting the two. Therefore, you should banish clockwise and counter-clockwise from your terminology if you want to effectively communicate phase sequence information with someone else. The correct terminology to use should reference the voltage designations, and always start with the same designation. The A-B-C-A-B-C system in the next image is an A-B-C system if I choose A as a reference. The image below shows a C-A-B-C-A-B system, which is also an A-B-C system if I use A as a reference. It could also be called a C-A-B system, or a B-C-A system, depending on the reference. 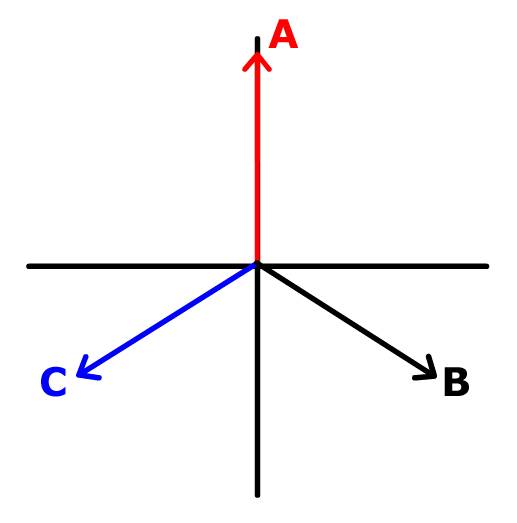 The image below shows an A-C-B system, or a C-B-A system, or a B-A-C system, depending on the reference. What is the Best Way to Communicate Phase Sequence? Always use the voltage designations. Always start with the same designation. If you always follow these two rules, there shouldn’t be any communication errors. If you want more information about what we’ve discussed so far, you should check out our Online Course 1-1: The Three-Phase Electric Power System (4 NETA CTDs). Let’s test your knowledge. 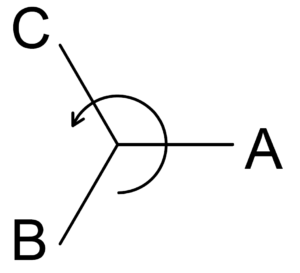 Which phase rotation is the following drawing? The phase rotation is A-B-C.
You can’t determine phase rotation with a phasor diagram unless you know the one universal rule in the relay testing world. ALL PHASORS ROTATE COUNTER-CLOCKWISE. The video below shows you how the waveforms and phasors inter-relate. Notice that the phasors rotate counter-clockwise and that the corresponding waveforms match the A-B-C rotation from the waveform drawings earlier? There should always be an arrow indicating the direction that the phasors are rotating and it should always be pointed counter-clockwise. Which rotation is the phasor diagram below? It is still A-B-C rotation. You can always tell rotation by imagining that the phasors are spinning like this video below. 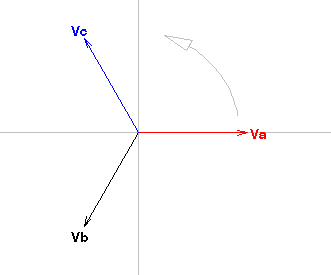 Which phase rotation is being generated in the following drawing? Can You Determine the Phase Sequence Using Phasor Diagrams? 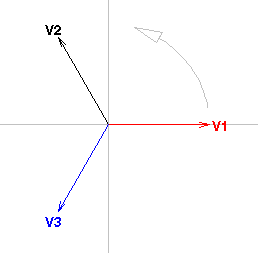 What is the phase rotation using 1 as a reference in the drawing below? You should be able to reliably determine the phase rotation of a system and to communicate that information effectively to someone else. The results can be catastrophic if you can’t, which is why this a vital skill all relay testers should know. You can get more information about phasor diagrams with our Online Course 1-2: Phasor Drawings for Relay Testers (4 NETA CTDs). You can get more information about how phase rotation applies to relay testing in future posts, or in our How to Test Protective Relays Online Seminar (16 NETA CTDs). You can get more information about all of our courses here. I hope you found this post useful. Please click one of the buttons below if you did, or drop a comment. I read every comment you submit.